The Lawrence Conservation District was organized at the request of individual citizens and groups interested in various aspects of soil and water conservation. 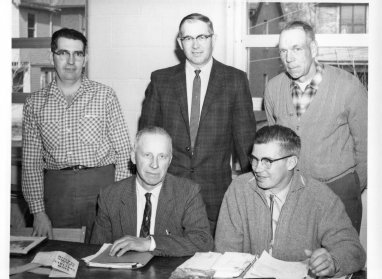 The county was initially declared a soil conservation district on November 28, 1961 by County Commissioners George Bolinger, Joseph Gilmore, and Ray Bailey in accordance with provisions of the “Soil Conservation Law” of 1945, Act 217, of the Pennsylvania General Assembly. It began operations on April 18, 1962. The District was organized to provide for the conservation of soil and water resources, assist in watershed protection and flood prevention, prevent damage to dams and reservoirs, help in maintaining navigability of rivers, preserve woodland and wildlife, protect public lands, preserve the tax base and protect and promote the health, safety and general welfare of the people.